The full list of UK Postcodes contains all 1.8 million UK Postcodes including the last two digits of the postcode (Postman's Walk - example UB7 7EB). 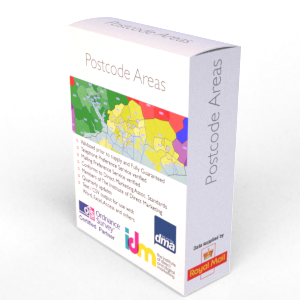 The full list of UK Postcodes data is ideal for validating Postcode relating information to ensure Postcodes are current and accurate. The full list of UK Postcodes data covers the United Kingdom. The full list of UK Postcodes data is by default emailed at the time of order using a secure download link delivery method. If you require the data supplied in another format then we will be more than happy to accommodate you where reasonable to do so at no extra cost. The full list of UK Postcodes is licensed annually for each user that has access to it. Contains Ordnance Survey data © Crown copyright and database right 2012. Contains Royal Mail data © Royal Mail copyright and database right 2012.